Looking for a strong Samsung Galaxy S6 case that is both unique and stylish? The Talisman meets all your wishes! This case consists of one piece wood with rubber sides. The phone case is easily attached to your smartphone. The robustness of the covers ensures the perfect protection of your vulnerable smartphone. The strong material ensures that your smartphone is protected from cracking or cracking when dropping the device. It also prevents scratches on the back and sides of your smartphone. 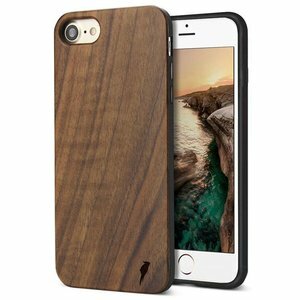 The wooden smartphone covers have a slim fit system. This means that the covers perfectly fit the model to ensure the corresponding robustness. The cases are easily attachable and detachable. The buttons and functionalities of the smartphone remain fully accessible. – Woodiful's logo is engraved on the outside of the cases. – This phone case will be send in a stylish cardboard box with wood chips. The package fits through the mailbox, so you do not have to be home to receive it.